There are millions of Firefox user worldwide, and hundreds even thousands might be in your locality, yet the Synced Tabs feature of Firefox claims to let you access your opened browsing Tabs across your various device that uses Firefox. Some skeptic might reason, how can that be possible, how will the Synced Tabs feature know which is your other device? Well, the answer lies in what a Firefox user is required to do before they can enjoy the Synced Tabs feature of Firefox. 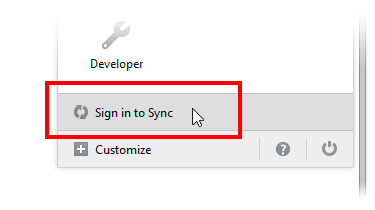 The fact is this tab Synced feature of Firefox will not work if you have not set up Sync on all your device that uses Firefox. It is is after you have activated Sync on your device that the Tabs Synced feature if Firefox will work. It is Sync which you set up on your device, Firefox uses to determine which device is yours. The Synced Tabs feature of Firefox depend on another feature called Sync in order to work. It is this feature (Sync) which you have to set up with the same details in all your Firefox enabled device, that Firefox use to know your device which they send your opened tab to. So you do not need to be anxious as to if Firefox will know your device, Firefox will/can never send your to another person's device, except that person's device is set up with the same Sync details as yours, which is impossible. Your friends might be interested in this article. Why not click the share button so that they will know about the existence of this article.